The staff at Liberty Montessori work as a team to provide a positive environment and a high-quality educational experience for every student. We are happy to discuss any concerns you may have to address individual needs. Please contact any member of our team; we'd love to get to know you better. Co-founder and chief executive officer of Liberty Montessori: The Place for Learning, Ivonne Barreras holds two master’s degrees (public administration and philosophy). She is currently working towards her PhD in education, and is a firm believer that happiness is loving what you do. Ivonne finds great joy in supporting Liberty Montessori's teachers, children, and families; spending time with her own children and grandchildren; and enjoying the arts. Ms. Jennifer is a head teacher at Liberty Montessori: The Place for Learning. She is an expert in Montessori curriculum and our fearless Toddler Scholar group teacher. With 16 years experience, she holds a BSE in history, an MA in marriage and family therapy, and a Montessori certification in infants and toddlers. She enjoys reading books and comics, art, writing, and visiting her family. After graduating from Hudson County Community College and New Jersey City University, Ms. Yessica became a part of our Liberty Primary classroom. She has a BA in psychology, a BS in criminal justice, and an AA in early childhood education. She is also CPR and first aid certified. With five years of Montessori experience, she is a great addition to our school! How our interactive online course structure provides more opportunity for reflection and deep discussion of Montessori theory and practice. The advantage of continual online study during the practicum phase, enabling learners to observe and practice course topics and lessons as they learn them and then get quick feedback from instructors and fellow learners in weekly live video classes. Our commitment to continuous support for adult learners and schools to assure success. Our unique approach to our residential seminars with an emphasis on providing a Montessori experience for adult learners and preparing them for their practicum classrooms. Sessions are every Tuesday in February at 1:00 p.m. EST and on Monday, March 18 and March 25 at 8:00 p.m. EST on our Zoom video conference platform. Email us for a reservation, or join the Zoom meeting online. If you are interested in working for us, call Ivonne at (201) 779.6275. 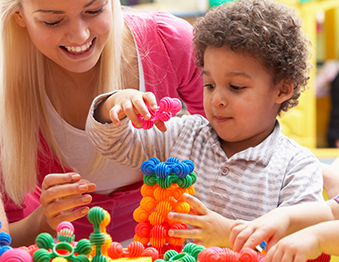 We are looking for caring individuals who are dedicated to early childhood education to join the Liberty Montessori family. Check out our current openings.